Blue foaming polish wax. 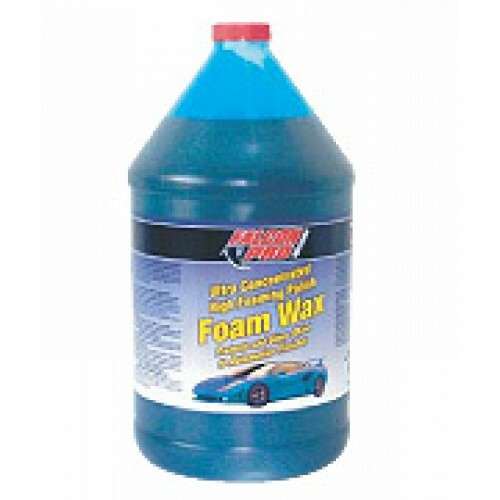 Produces intense shiny blue tinted foam when applied through air injected foam generating equipment or pressure washers adapted with injectors. For use in full-service and exterior car washes. Used to clean automobiles and trucks at automatic car washes, and detail shops.